Signs On The Road Of Life « God is Good! Twenty four years ago I traveled to the Land of Enchantment, New Mexico, to visit a friend. This state provides sheer delight to the eyes of a visitor: the serpentine Rio Grande River, mountains, long vistas of unparalleled beauty in the rolling plains, and colors no words can describe. My friend lived in Albuquerque, a city on a bluff overlooking the Rio Grande. 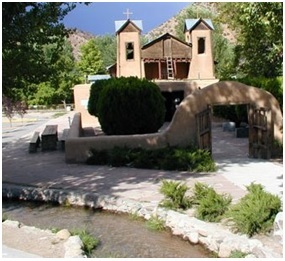 I was interested in seeing the Marian Shrine of Chimayo, called the Lourdes of New Mexico. On our trip north to the shrine, I was impressed as never before of the importance of road signs. With my local friend driving we came upon many helpful markers on our trip. Because of these directional signs we were able to turn with confidence at all the major junctions, knowing we were on the right road. All of us desire happiness, even in this life on earth. Everything we do, even our sins, is directed to bring happiness to ourselves. God, in His Love for us, has given us signs on the road of life to lead us to through this earthly destination of happiness, peace and self-fulfillment. These positive markers, The Ten Commandments, will point the way to the greatest measure of true happiness possible on this earth. Returning from Chimayo, where we left our requests for help with Mary, we came to a highway junction without signposts. For the first time that day, we were forced to guess which route to take. We guessed wrong, and that wrong turn ended up sending us in the wrong direction for an hour. Some people look on the Ten Commandments as shackles and handcuffs which take away their freedom and liberty. With disregard for these road signs, they wander into many unhappy situations, never arriving at their desired destination of lasting peace of soul in this life. They lose their way , not for an hour, but sometimes forever. One day a beggar asked Jesus for the gift of sight, “Lord, I want to see”. Of course, the Lord granted his request. Daily, our prayer could be the same, “Jesus, we wish to see.” We need spiritual sight to notice these most welcome sign posts God provides for us on our journey to Heaven. As we drive along through the silence of the darkening highways of life, keep thinking of this one idea . . . keep alert and watchful for the road signs God gives us. Mistakenly, many see the Ten Commandments as “Thou Shalt Nots”, negative statements. But how positive they are! “Reverence the One True God . . . Respect God’s Holy Name . . . Keep Holy the Day devoted to God . . . Respect one’s Mother and Father . . . Have Love for Others . . . Revere One’s own Sexuality and the Sexuality of Others . . . Respect the Property of Others . . . Be Truthful . . . Your Neighbors Spouse and Possessions are Precious, Respect Them.” Listen to the Word of God, look for His Signs of Hope and Love, travel through this earthly life, with a Loving and Caring Guide. I like the positive way of expressing the Commandments. 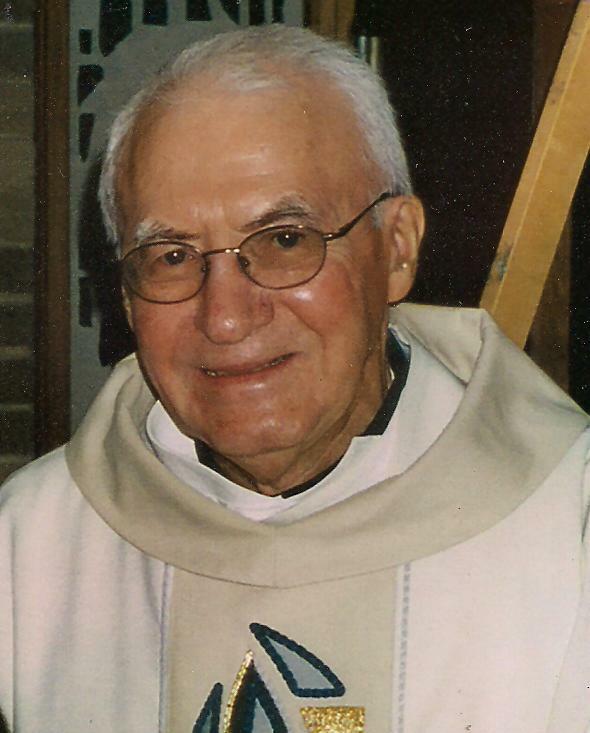 Happy birthday Fr. George. Because of you the world has been blessed for 99 years. It has been my great fortune to know you. I never knew there is a Marian Shrine in New Mexico! I’m going to write this name down and try to visit this place. I loved Albuquerque when I was there and often tell Tim that I’d like to go back with him. Your stories are so rich with imagery and you can put a modern day spin on how to apply bible teachings to today’s world. I’m so lucky to have met you and know you for these past ten years!! Thanks be to God for putting you in my life. It has never been the same!